The Data Protection Commissioner released details of its 2017 investigations. A NUMBER OF Irish firms were wrapped on the knuckles by the Data Protection Commissioner last year for sending customers unsolicited marketing material. The data regulator, which safeguards the proper use of consumer and commercial data here in accordance with EU law, has released its annual report for 2017, which includes details of several prosecutions from last year. A key trend among the case studies published were numerous breaches of data protection law by Irish-based firms in relation to unsolicited marketing. In one case, the Data Protection Commissioner prosecuted retailer Argos for sending marketing material to customers who opted out of receiving such content. Argos acknowledged during the investigation that its email system to allow customers to ‘unsubscribe’ was not working. The Office of the Data Protection Commissioner had previously warned Argos about its conduct in relation to a similar issue. The company was fined €5,000 by Navan District Court, with the fee passed on to a charity of the court’s choosing. The legal fees of the Data Protection Commissioner were also covered by Argos. Another high-profile firm fined by the Data Protection Commissioner was Virgin Media, which was prosecuted for making unsolicited marketing calls. The complainant, a Virgin Media customer, made numerous requests to be put on a ‘do not call’ list by the company but claims to have continued to received calls from the firm. Virgin Media claimed the issue was caused by human error in its call centre. In its report, the Data Protection Commissioner noted that the company was previously fined for 20 similar marketing offences involving telephone calls to subscribers. Last July, Dublin Metropolitan District Court convicted the company and it imposed a total fine of €2,500. 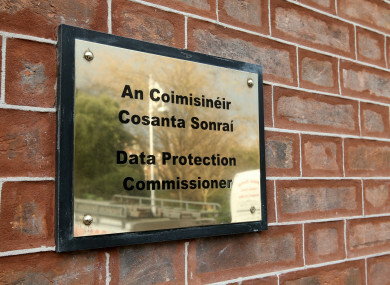 Other firms fined by the Data Protection Commissioner for breaching laws as part of marketing activities included EZ Living Furniture, cosmetic surgery firm River Medical, Galway business Cunniffe Electric and Expert Ireland Retail in Naas. In these four cases, the firms were fined between €500 and €800, with the monies donated to charities chosen by the courts. The data regulator’s annual report has shown that it was a busy year for the state body headed by Helen Dixon. The overall number of complaints made to the data regulator jumped from 1,479 to 2,642 – a 79% increase. More than half of these complaints were made by people who felt they were unfairly denied access to personal records. This year is shaping up to be another busy 12-month period for the data regulator due to the introduction of the General Data Protection Regulation (GDPR) in May. The data protection rule changes will make important amendments to existing laws about how personal data can be captured, stored and processed. Earlier this year, the Data Protection Commissioner also made moves to beef up its communications team with experts to help the organisation deal with the wave of “scrutiny” from international media. In recent years, the office’s budget has more than quadrupled to over €11.6 million, while it has also been dramatically increasing its headcount to cope with the rising workload. Email “Argos and Virgin Media head the list of firms prosecuted for unsolicited marketing”. Feedback on “Argos and Virgin Media head the list of firms prosecuted for unsolicited marketing”.